This page has been made with inspiration provided by the Scrap the Girls Challenge for February. 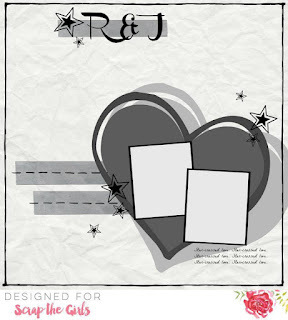 This page has been made using the Scribble heart and stars frame from A2Z Scraplets. 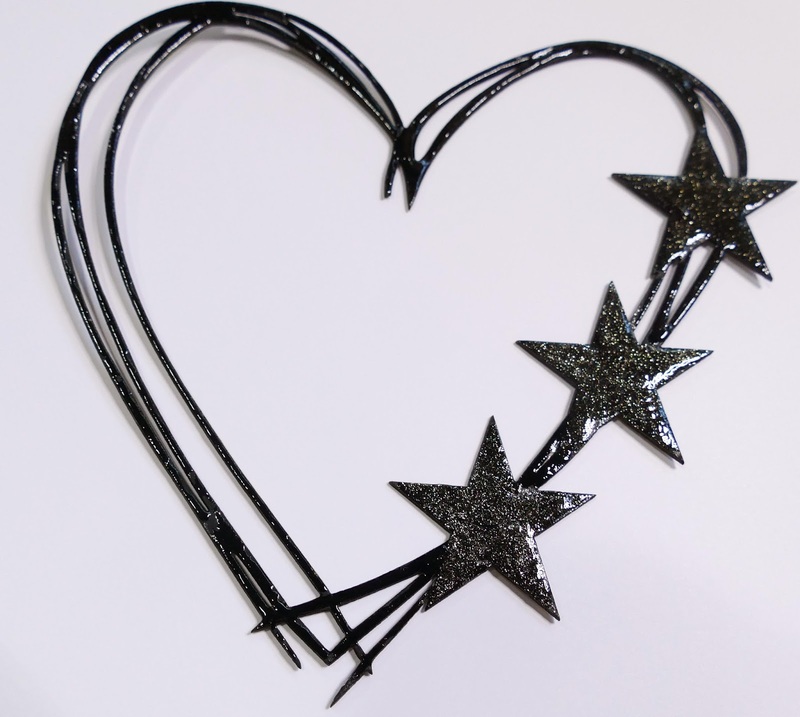 I painted this with black acrylic paint and the stars embellished with a Wink of Stella pen. 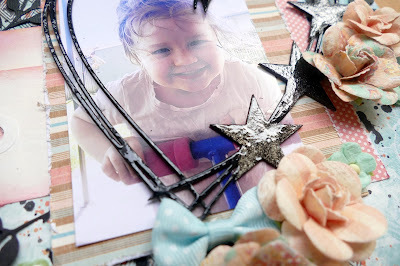 The frame was then coated in Glossy Accents for added shine. 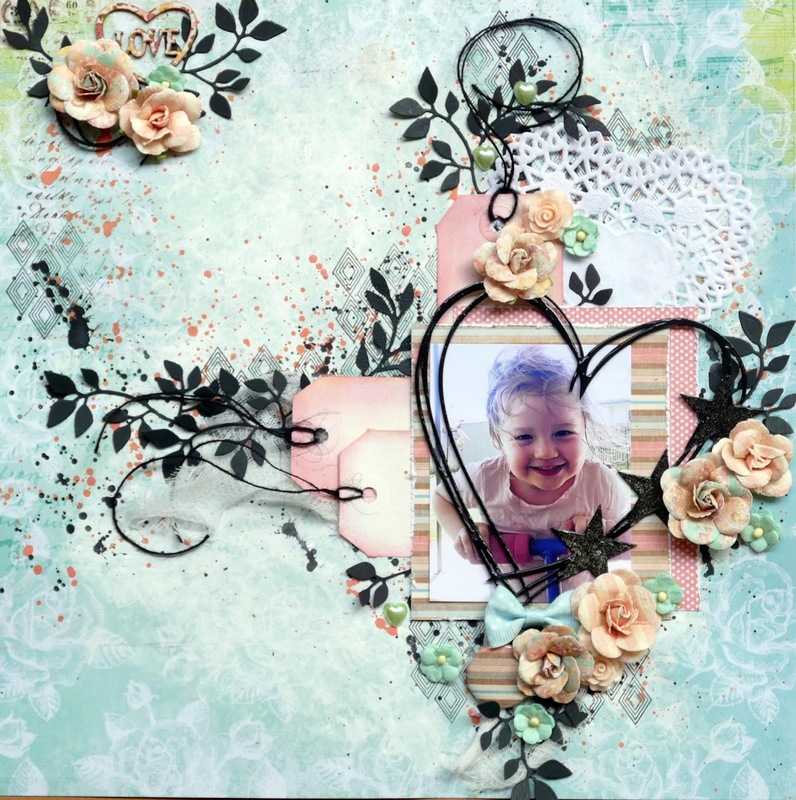 This layout was made with applying white acrylic paint, stamping and paint splatters in black and apricot. Embellishments including bow, flair, die cuts, tags, doily and flowers were arranged around the frame. Here's a close up. Wow, the detail in this is quite special. So much to see, yet not overcrowded. Great layout. Thanks for joining us at STG. Wow! That's a great layout, thanks to playing with us at Scrap The girls! Just gorgeous!! I love the colours and using black gives it such a pop!! Ohh how sweet it is!! Love it! 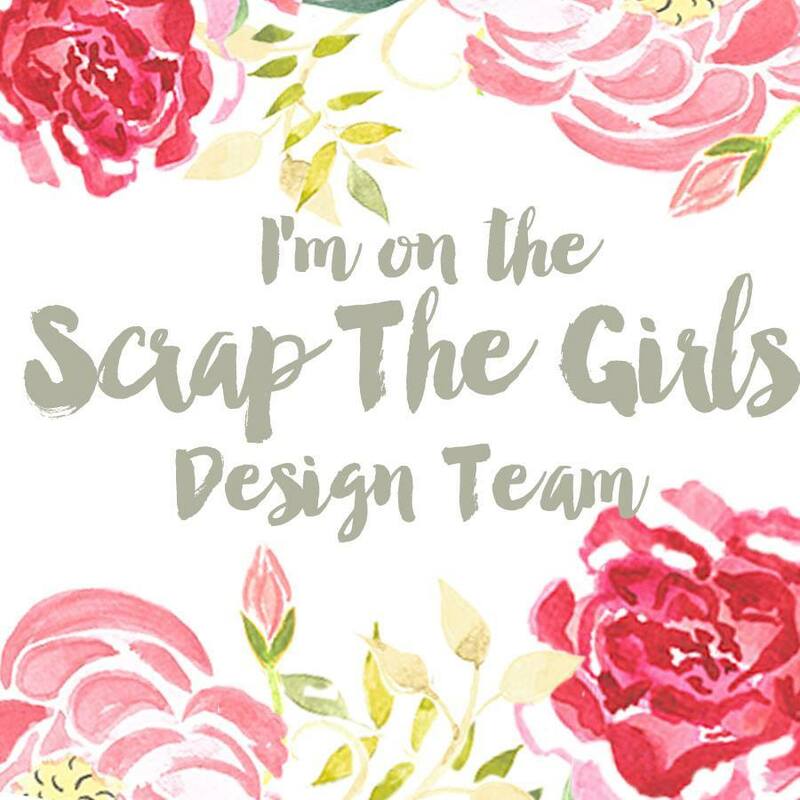 Thanks for joining us at Scrap The Girls!